This unique copper kettle from the 1930’s with an art deco stamp on the side, originally had a bird whistler on it – which would have made it even more special. Unfortunately, the bird whistler was missing when we found it. 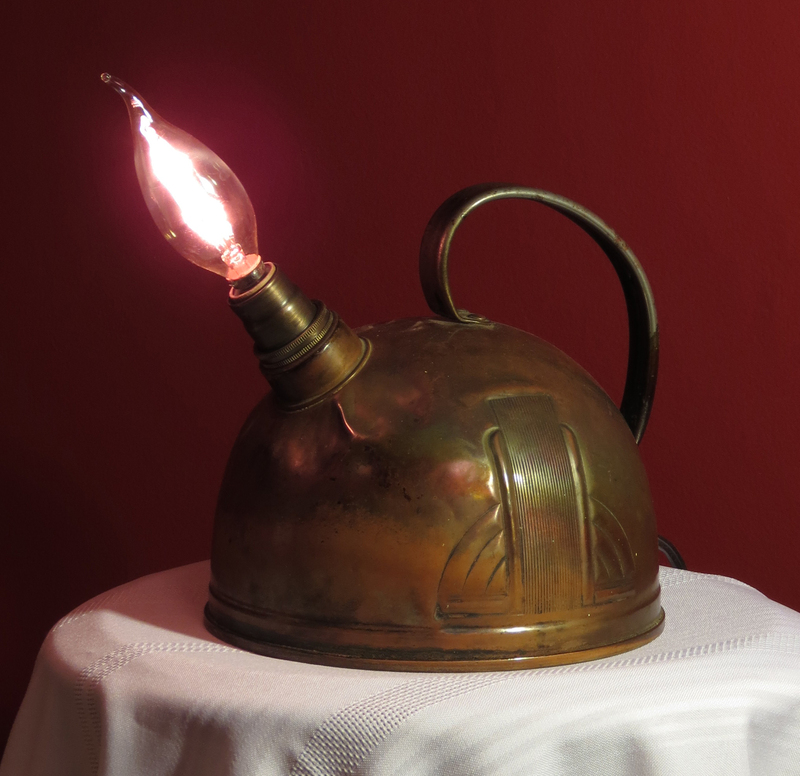 Despite that, it still has great styling – to highlight that, we’ve given it a very simple treatment, merely adding a brass socket and a flame-shaped filament bulb, which mimics the size and shape of the original bird whistler. All electrical parts are new. Supplied with a candelabra socket and approximately 6 feet of black vinyl cord with an in-line toggle switch. The 7 watt filament bulb is included. Please read ‘Safety Information’ before purchase.